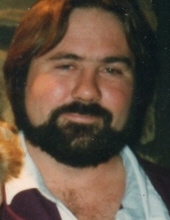 Scott Paul Leetzow age 60 passed away on Friday March 15, 2019 at Mercy Hospital and Trauma Center Janesville. He was born on September 25, 1958 in Illinois to Paul and Pearl (Spohn) Leetzow. Scott married Donna Shaffer on March 20, 1992 in Cook County Illinois. Scott worked most of his life as a hunting guide for quail, pheasants and turkeys. He enjoyed fishing, camping and scuba diving. He loved to go for rides in his favorite old white car and listen to country music. Scott was a devoted and loving husband and will be deeply missed. He is survived by his wife Donna of Evansville, a daughter, Stephanie (Billie) Thomas of Illinois, two grandchildren, Billie Lynn and Ruby Thomas, two sisters, Linda (Bob) Waterson and Valerie (Juan) Flores both of Illinois, and four nephews. he was preceded in death by his parents, and a sister Paula Leetzow.Funeral services will be held at 12:00 noon on Wednesday march 20, 2019 at St. John's Lutheran Church Evansville with reverend Matthew Poock officiating. A visitation will be held from 11:00AM until the time of service on Wednesday at church. To plant a tree in memory of Scott Paul Leetzow, please visit our Tribute Store. "Email Address" would like to share the life celebration of Scott Paul Leetzow. Click on the "link" to go to share a favorite memory or leave a condolence message for the family.